You plop down on the couch after a long day’s work ready to watch some TV only to find your Roku remote is not working. Thankfully, there aren’t too many things that can go wrong with a Roku remote. 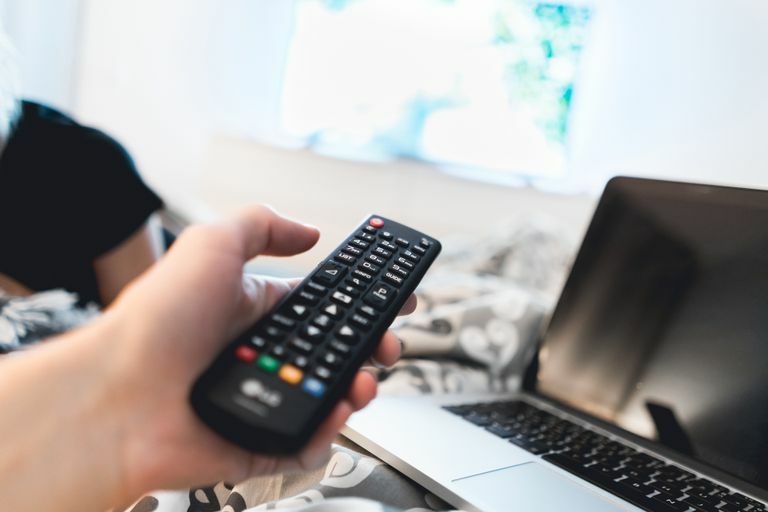 Below is a list troubleshooting steps you can quickly perform to get you back to your binge-watching. Before you begin troubleshooting, it’s best to know what type of Roku remote you have. Below is a breakdown of Roku models and which remotes typically ship with your streaming stick or player. The issue with IR remotes is they require a direct signal free from any obstructions in order for the player to receive instructions. If you have anything blocking this signal, the remote won’t work. You may have to lift the remote higher to get a clear signal. Ensure you're pointing the remote at the front of the player. Weak or dead batteries can make the remote malfunction. First, remove the batteries, then re-seat them. If the remote is still unresponsive, replace the batteries and try again. If it still isn’t responding, you may need to purchase a new remote or download the Roku app from the ​Google Play Store or App Store. First, you want to remove the batteries from your remote. Remove the power cable from your Roku player/stick, wait approximately 5 seconds, then reconnect power to the device. When the Roku logo displays on the home screen, reinstall the batteries in the remote. Wait approximately 30 seconds to see if the remote re-establishes a connection with your Roku device. No, we’re not talking about taking the remote apart. Re-pairing means you're re-setting up the remote and player to recognize each other. Unplug the power from your Roku device and wait approximately 5 seconds, then reconnect the power cable. Once the Roku logo appears on the home screen, reinsert the batteries in the remote. Press and hold the pairing button inside the battery compartment of the remote for 3 seconds or until you see the pairing light on the remote begin to flash. Tip: If the light doesn’t flash, repeat this step. Wait approximately 30 seconds while the remote establishes a connection with the Roku player. After a successful pairing, a dialog should appear on your TV screen. Roku Streaming sticks install in your TV via the HDMI port. If you have your device plugged directly into the HDMI port, you could be getting some interference. To remedy this, you’ll need an HDMI extension, which is available free from Roku. Just make sure you have your Roku serial number handy; it should be on a sticker on your device. You could also move the streaming stick to a different HDMI port if your TV has one to spare. Important: Moving it to another port could mean re-setting up your Roku again, but it may help eliminate a faulty HDMI port from the list of potential issues. Depending on whether you have a Roku player or a streaming stick, your Roku device will have at least one network connection. On Roku players, most have both wired and wireless options; streaming sticks only have wireless network connectivity. If your remote isn’t working at this stage, you may have to download the app to check settings. On your Roku menu, scroll down to Settings and tap OK on the app. Tap About. On the right-hand side of the screen, you should see Status. If it says Connected, you know your issues aren’t related to your network. As stated previously, if you cannot get the remote to work at all, you can download the Roku remote app on both the App Store or Google Play Store. The app has all the features of your Roku remote, plus it makes it easier to enter a text search. A definite bonus for app users. If you notice your remote is hot to the touch, stop using it immediately. Place the remote on a non-flammable surface to cool. Once cooled, remove the batteries. Malfunctioning or leaking batteries can cause overheating and can damage or render the remote useless. If this is the case, you'll need to replace the remote. You can either go directly to Roku.com or somewhere like Amazon which sells both licensed Roku remotes and third-party compatible ones.